An email hit our inbox today from Levenger. For years, we have ordered our pads of paper, pens and 3 X 5 cards from Levenger. 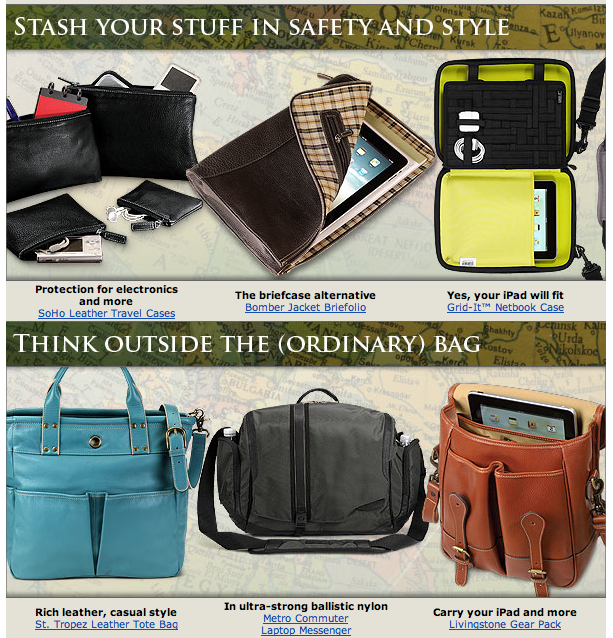 Now, they are offering a variety of carry bags for your iPad. We have not had any of these in our hands yet so we do not know if they are especially sized for the iPad or regular inventory that happens to about right. We do know that Levenger never skimps on quality, they sell quality. Drop us a note if you have or get one of these bags, we look forward to see them in action.